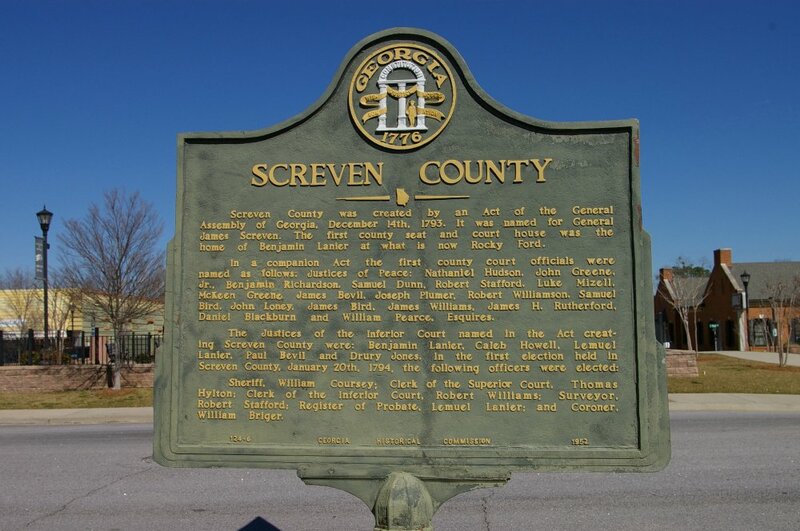 Screven County is named for James Screven, who was a brigadier general in the American Revolutionary War. Description: The building faces southwest and is a one story buff colored brick and concrete structure. 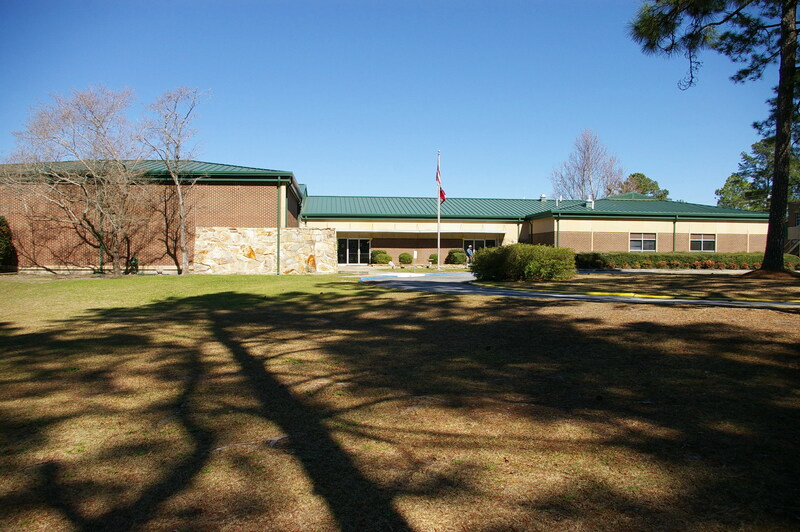 The building is surrounded by landscaped grounds. The center entrance is recessed with a yellow colored overhang. 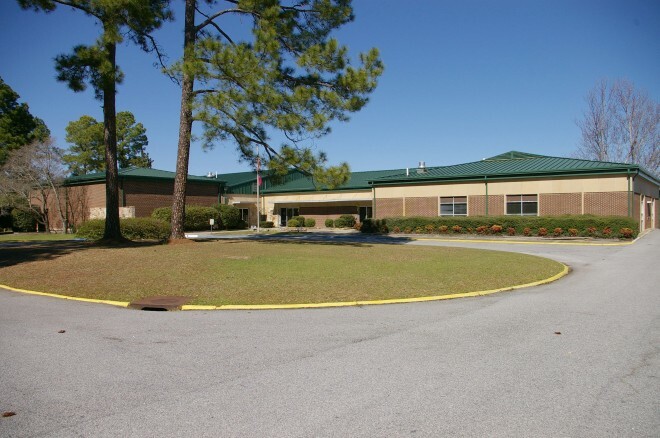 The northwest wing is higher and solid brick. 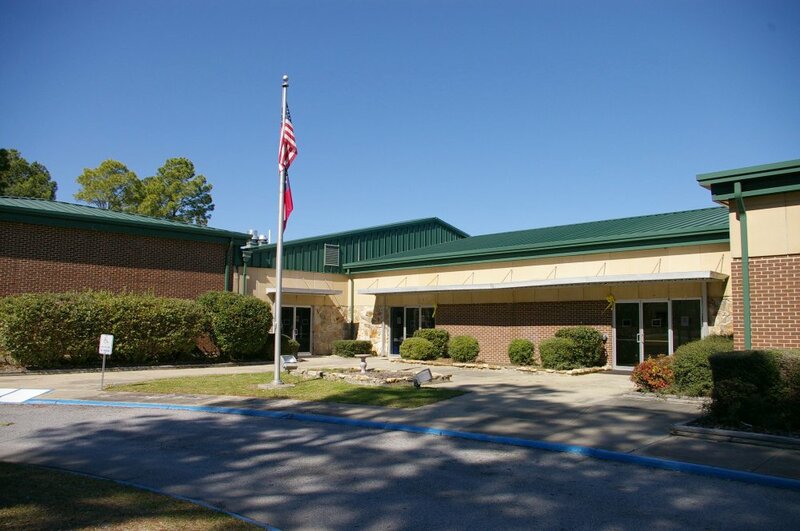 The building has a sloped green colored roof. 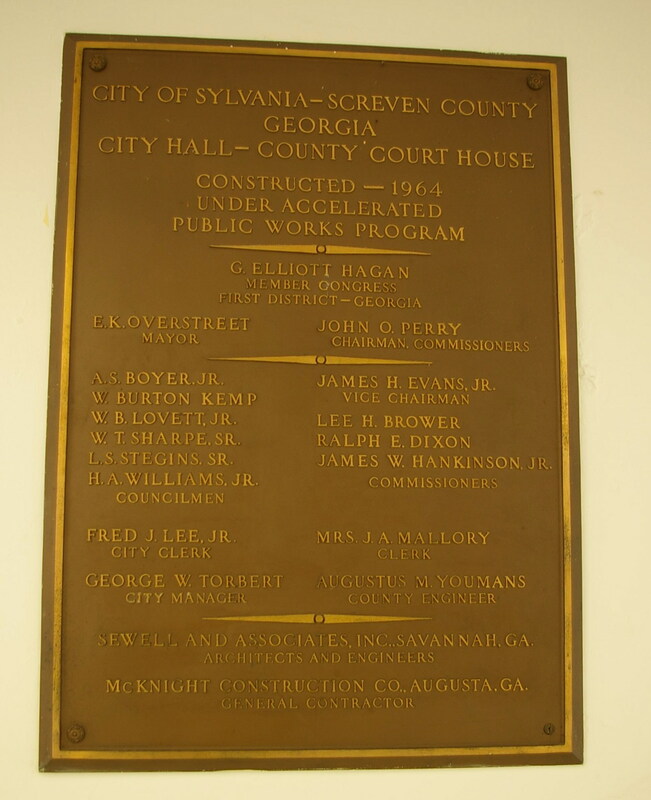 Note: In 1897, county officials contracted with Algernon Blair of Montgomery, Alabama. to build a new two story brick courthouse for $15,000 over the site of the former courthouse. 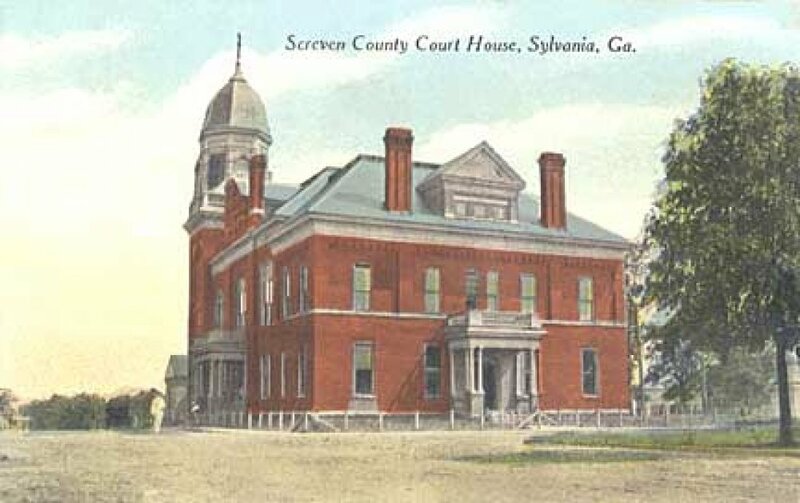 This courthouse was torn down in 1963 and the new courthouse was constructed further west from the town square.